First of all I need to make one thing clear. I'm by no means a fan of the French national football team. There's only one team I love and that's the German one. Nevertheless L'équipe Tricolore got a really stylish away shirt now from Nike. It's inspired by the classic Marinière stripes and made of lightweight fabric and Nike Dri-FIT technology for ultimate player comfort - style meets performance. 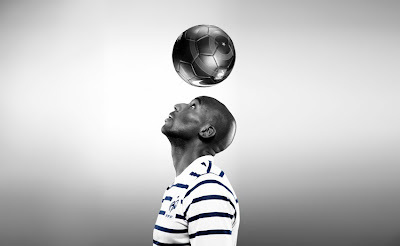 The Marinière is the powerful symbol of French football's future. Of course it won't help them defeat Germany at the next big tournament but I have to admit that it's the coolest football shirt out there right now. The new shirt has been premiered on a photo taken by Karl Lagerfeld. 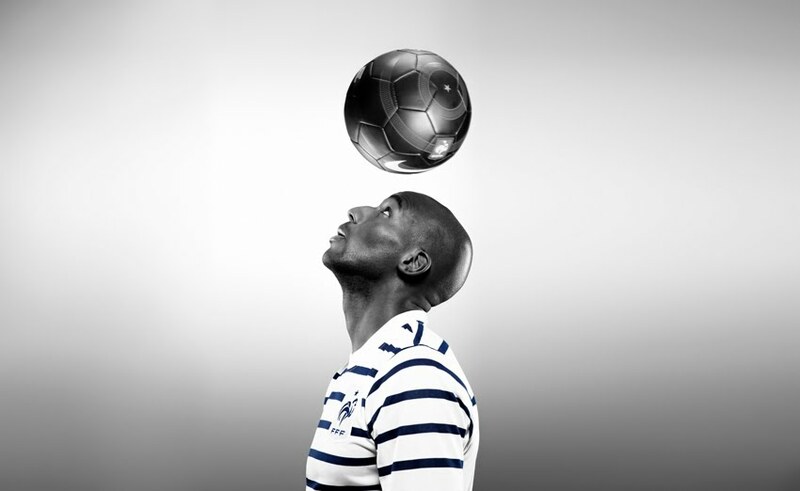 The photo that perfectly captures the shirt's revolutionary elegance shows Alou Diarra one of the faces of this new era in French football.